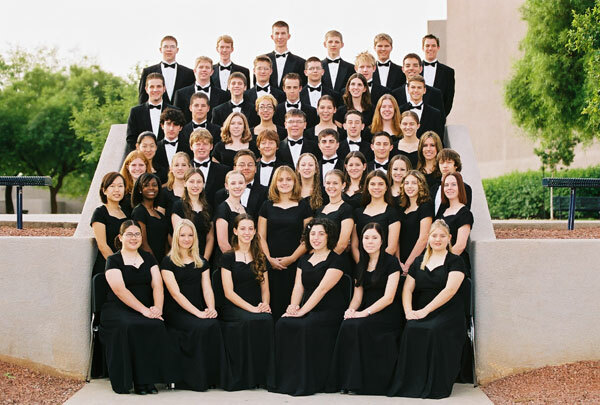 We have been working with Dobson High School since 2002. We were formally introduced by a former student, Lisa Snyder, who we originally met with the Phoenix Youth Symphony. It becomes a a small world when you look at how we are introduced to many of our clientele. Since then we have had the honor of working with the entire Dobson Performing Arts Department and many of their students. Since that initial introduction we have made several wonderful recordings with the Dobson Concert Bands. In Jon Gomez own words, "The relationship that Dobson has had with Mouse Recording has been nothing short of amazing. The quality of their acoustical recordings is matched by the first-rate service consistently provided."